Vodacom Bulls backline coach Chris Rossouw says the team’s strong start to the season has been aided by the game management of Handré Pollard, writes CRAIG LEWIS. The Bok flyhalf has been in sensational form at the start of this season, controlling proceedings with aplomb as the general of the backline, while his goal-kicking has been near faultless. 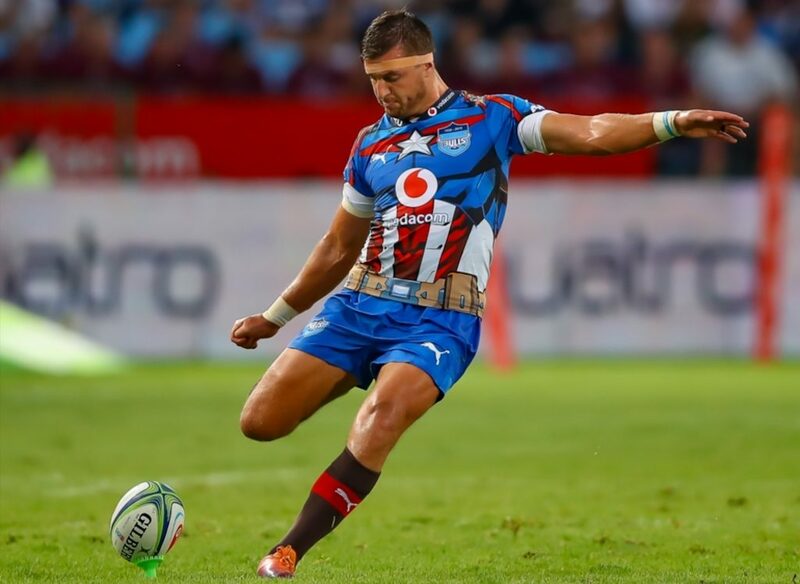 Pollard is currently the leading point-scorer in Vodacom Super Rugby (52), while he has also taken on the captaincy duties at the Bulls following the injury to Lood de Jager. Rossouw – a former flyhalf himself – told SARugbymag.co.za that he was highly impressed with the composure and control displayed by Pollard. ‘We have a good spine running through our team, and Handré is part of that. Our approach as coaches is to ensure the players have enough responsibility to take charge and ownership in training and on game day. The Sharks will know that they have to nullify Pollard’s impact on the game this Saturday if they are to have any hope of picking up a victory at Loftus. Sharks assistant coach Braam van Straaten said they had certainly taken note of just how influential Pollard was to the Bulls’ cause. ‘We have to put Handré under pressure so that he does not have the opportunity to run things his way. A while ago I said Handré will go on to be the best flyhalf in the world if he adapted to certain things, and he is starting to do that. In order to prevent Pollard and the Bulls from dictating proceedings on Saturday, the Sharks will know that they will need to front up physically in the forward battle. It’s something that Rossouw suggested the Pretoria-based side were fully preparing to face.